In today’s world, privacy regarding one’s health information is of primary concern. This is delicate information that may be used or taken advantage of against a particular individual. 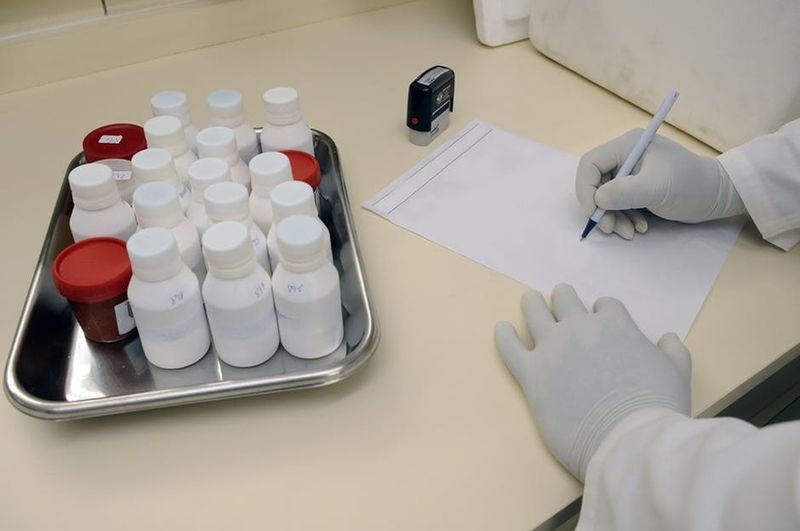 This is why the guidelines found under the Health Insurance Portability and Accountability Act (HPIAA) illustrates the importance of business agreements in the industry. The general function of a business associate agreement (BAA) is to outline how a business associate will handle a given entity’s protected health information (PHI) or electronic protected health information (ePHI), as well as the responsibilities that each party must commit to. Simply put, this concept revolves around responsibility and liability with respect to how PHI data shall be handled. But how are these documents used? Would it be better to use a BAA template instead? Unfortunately, many practices are left clueless to the possible risks they may face from the lack of understanding of how business associate agreements work. So to answer these questions, this article covers all you need to know about business associate agreements. In the healthcare industry, there are instances when the complexity of certain cases and operations can be too much for just one clinic or hospital to handle. When this happens, they enlist business associates to work in their behalf. A business associate is a person or entity who performs services or functions surrounding the use and protection of protected health information. Any contractor, subcontractor or vendor who may access such is considered to be a business associate. But these business associates often come in contact with sensitive health information that must be protected. Although they may be given the right to access this data when performing critical tasks, it must never be for personal gain. So this is where business associate agreements come to be, where its primary function is to safeguard a particular patient’s PHI. If a business associate fails to uphold the agreement and makes unauthorized disclosures, he or she may face criminal penalties for it. This is why it is also important to properly define the business associate agreement for the sake of all the parties covered. Today’s technology has also made this process much more efficient, where subcontractors — otherwise considered to be the different technical services used — provide additional services to business associates. Healthcare providers should feel free to reach out to those knowledgeable on business associate agreements to see to it that a clear and thorough agreement is established. While every BAA is made unique to the business relationship at hand, those listed above are generally included in the given document. It’s important to remember that every management agreement must have an effective date and termination date. If you plan to venture on with your contractor after the said termination date, then a new contract must be made. Without an active and valid agreement in place, you are forbidden from sharing the PHI any further. The BAA simply states clear details on the duties of a business associate in handling a covered entity’s PHI. The entities covered along with the business associates involved will benefit greatly from a comprehensive and current BAA in terms of understanding how the data is expected to be stored, transferred, and handled by the said parties. This agreement is mandated by the HPIAA where failure to draft and sign such is already a violation in itself. The parties involved may face heavy fines, sometimes reaching million-dollar settlements. Creating important documents for your organization and clients to benefit from can be a both time-consuming and nerve-racking experience. If anything, a template would save you the time and effort from starting from scratch. Otherwise, an entity must invest their resources into the process. This would involve hiring an attorney every time a new one is made, or they also have the option of making one on their own. But in some cases, the latter can be quite risky, considering the possibility of particular information being accidentally omitted or overlooked upon creation. This can potentially lead to legal problems and other violations that the entity involved must come to terms with. Although these documents may vary in some ways, they still include a similar baseline information in terms of the two parties’ professional relationship. And because these templates follow the standards set by past business associate agreements, it ensures accuracy and consistency. This is to make sure that the covered entities and their given business associates are held accountable for their actions and duties performed. These BAA templates are typically made after much consultation and a thorough understanding of current HPIAA rules and regulations. When it comes to a BAA template, the terms being set become a basis for future agreements, along with the specific language that each agreement must follow. However, these templates must be made flexible for the covered entity to use. It also requires a deep understanding on HPIAA laws. Not only can a template-free you from any HPIAA-related violations, but it can also give a client a feeling of security when working with you. This can help you draft accurate business associate agreements with ease, and not to mention save you a lot of resources while you’re at it. 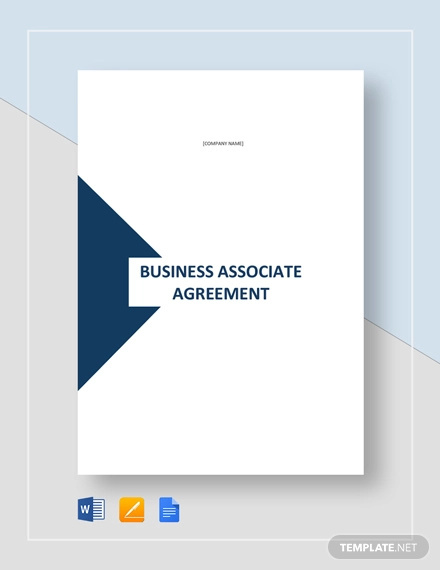 There are various entities that can benefit from these business associate agreement templates. This includes any business associate dealing with a PHI or ePHI in a professional capacity. Some of the most common examples of such in the market include medical billing services, hosting services, IT service providers, EHR and EMR providers, transportation services, marketing companies, practice management, print and mailing services, attorneys, accountants, consultants, physical and cloud storage providers, and many more. Entities that are covered by HPIAA are required to have this contract for every organization they do business with in order to protect an individual’s personal health information. These business associate agreements matter in the practice of healthcare profession in a lot of different ways. If it is discovered that your contracts are either expired or outdated to an extent, you could face serious fines for it. That being said, it’s important to take these agreements seriously and ensure that they stay up to date. If you plan on creating one, using a ready-made business associate agreement template for such would be your best option. This ensures that your documents meet HPIAA standards accordingly. Keep in mind that utilizing the proper tools can help you create applicable BA agreements that conform to protected health information security.